1.8 acres in secluded Floracadia! 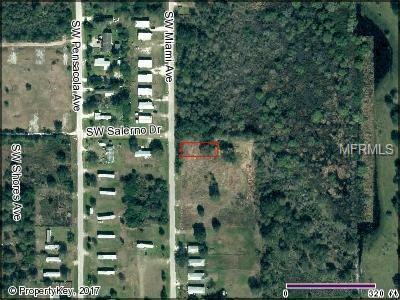 This property is cleared, and was subdivided into 10 lots ready with addresses to build on today! Don't miss the boom! Close to Arcadia, and Port Charlotte! Quiet in the country, yet ever so close to civilization! Super deal for the price! Cash only. Listing provided courtesy of Miller Homes.